Custom make your new favourite pair of tall men jeans at madetoorderjeans.com. Are you a guy who need extra inches on your jeans.. are you looking for big and tall denim jeans that is made just for you?? To understand this we have to first know what is lycra and 100% cotton denim. Non lycra denim fabric is 100% cotton with no elastene. Stretch or Lycra fabric incorporates an elastic component, such as spandex. 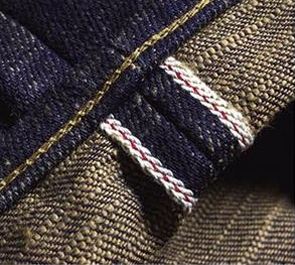 Raw denim (sometimes called “dry denim”) jeans are simply jeans made from denim that hasn't gone through the pre-wash process. Because the fabric hasn't been pre-washed, raw denim jeans are pretty stiff when you put them on the first time. It takes a few weeks of regular wear to break-in and loosen up a pair.